We are all just waiting for spring, aren’t we? At Etica Hair Salon in Maple Grove, our stylists have been busy finding ways to keep your hair healthy and looking great for the new season. These two treatments can freshen up your look at home while keeping your hair healthy until your next service in the salon. If you hair has lost its’ shine and luster, it might start to feel brittle. Strengthen, restore and protect your hair and color with a weekly treatment. 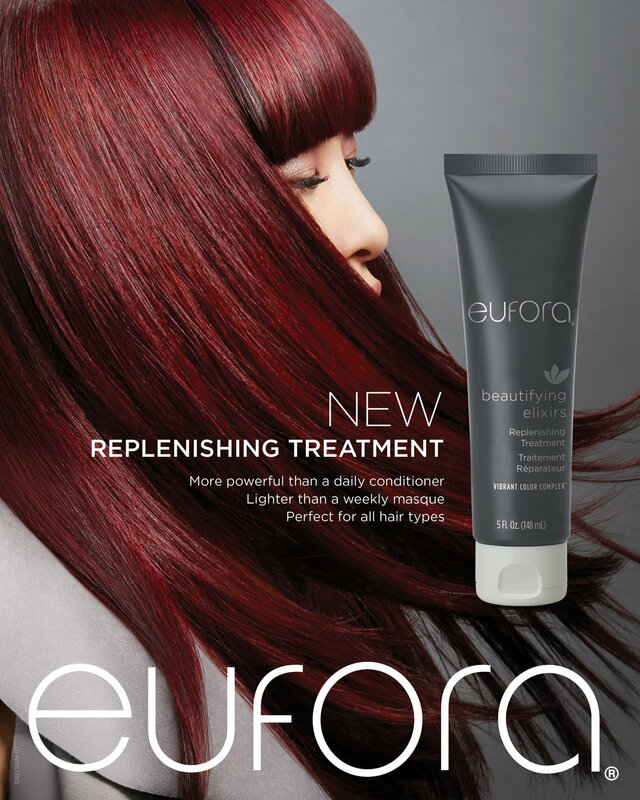 Eufora "Beautifying Elixirs Replenishing Treatment"
This product is more powerful than an average daily conditioner. It’s lighter than a weekly masque and ideal for all hair types. Restore dry, brittle and damaged hair to look and feel soft, silky, moveable and touchable with this featured spring product. This color enhancing treatment delivers exceptional vibrancy to your current color. It will refresh and brighten your hair in just one conditioning. It’s perfect for anyone wanting to boost the color in their hair while maintaining that healthy look for spring vacations. Check out more hair tips and salon products from your Maple Grove hair stylists at Etica Salon. We are ready to help with any hair challenge to help you love your hair again.